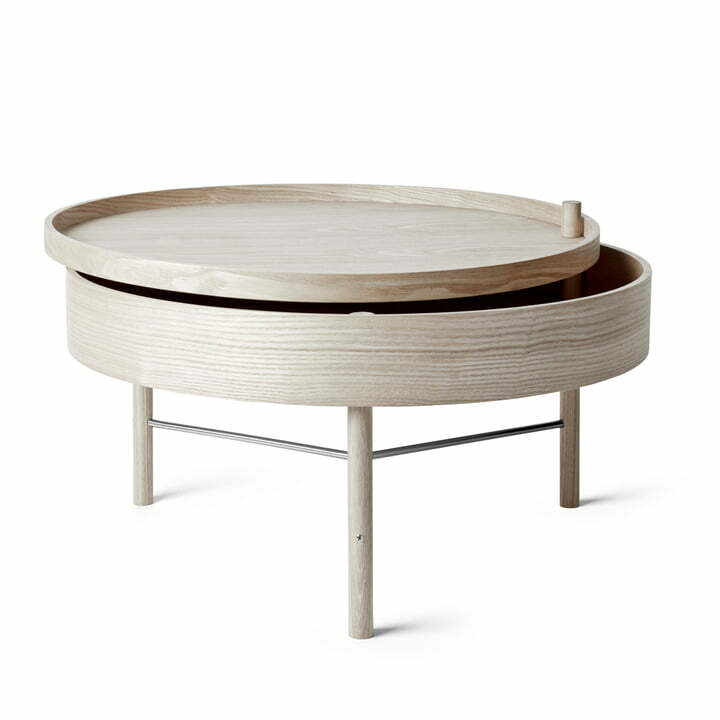 A simple side table with built-in storage for magazines, remote controls, chocolate or whatever you need in the living room; that’s the idea behind the Turning Table by Menu. 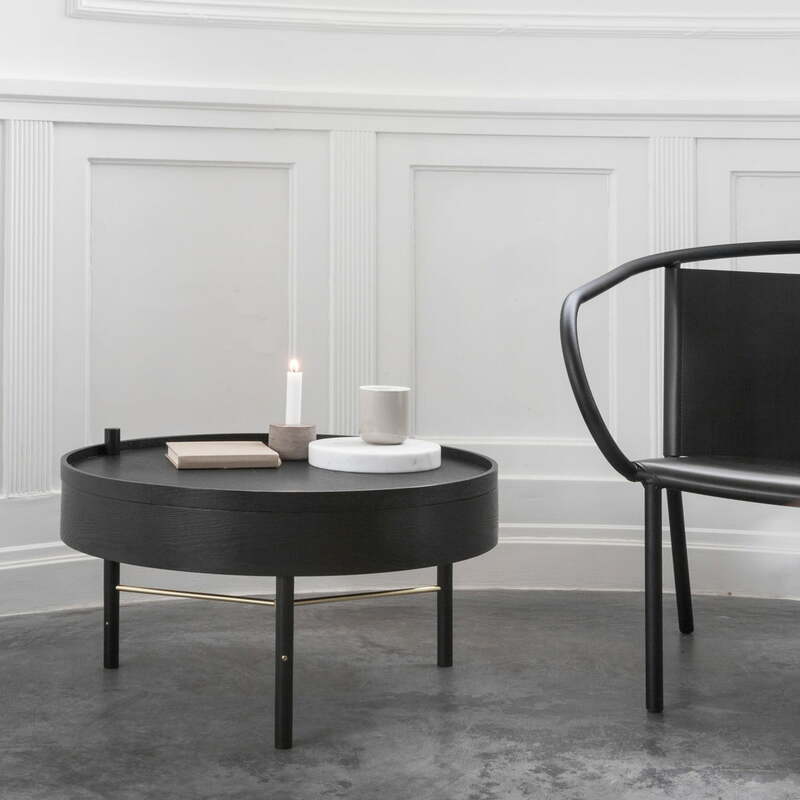 The German designer Theresa Arns wanted to design a side table which has versatile uses thanks to its size and storage function. 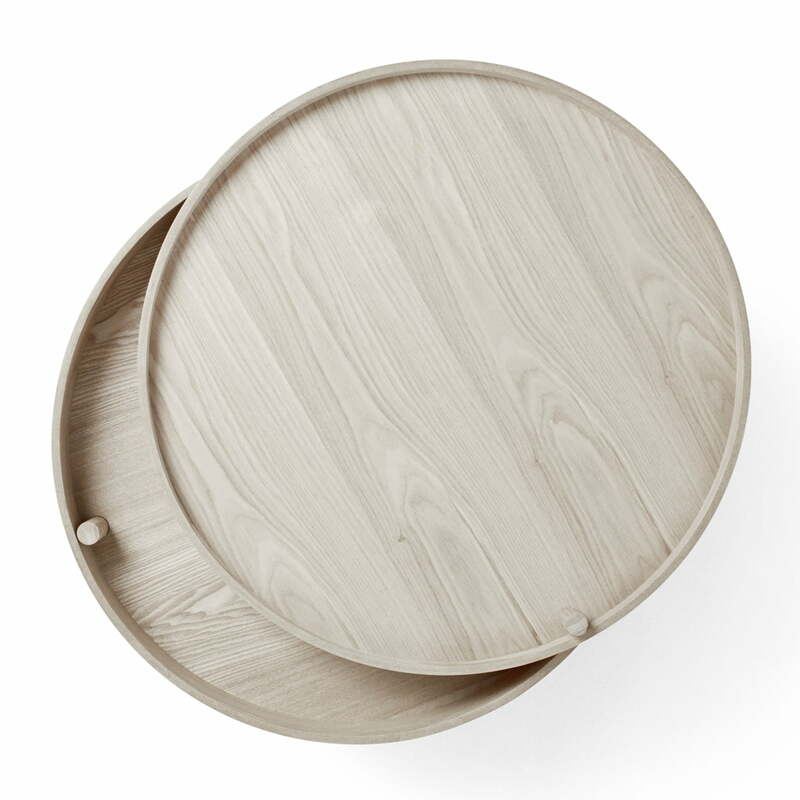 The storage under the table top is elegant to open, when you turn the top around one of the legs. 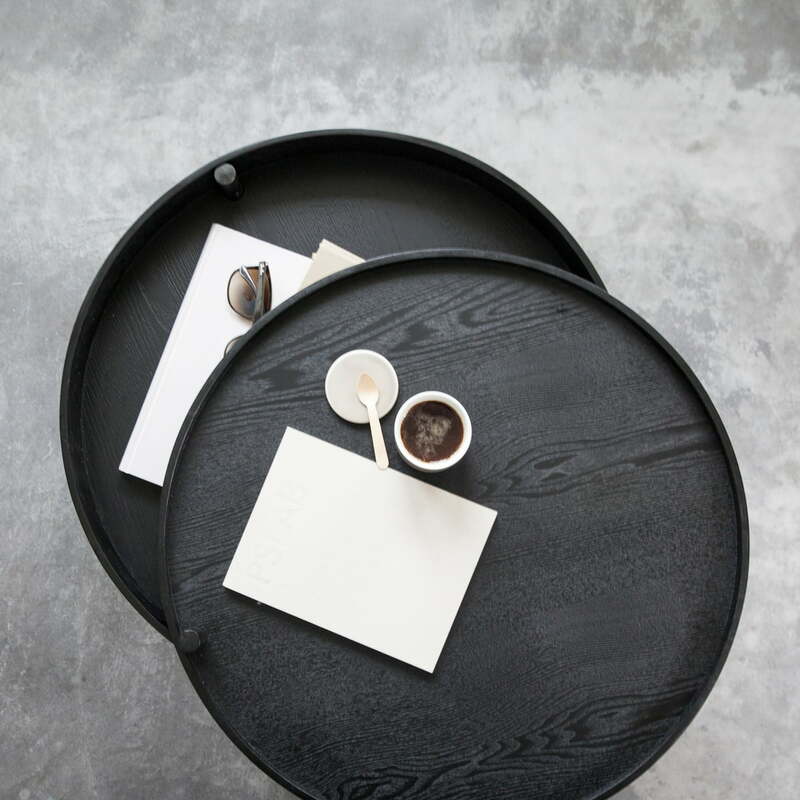 The metal rods stabilise the construction and complement the wooden table. 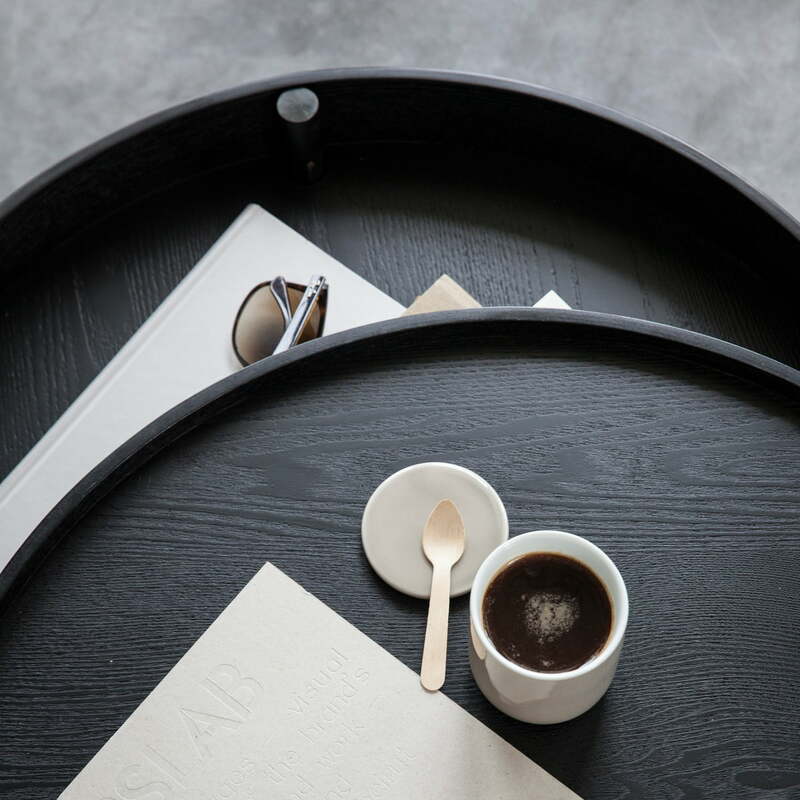 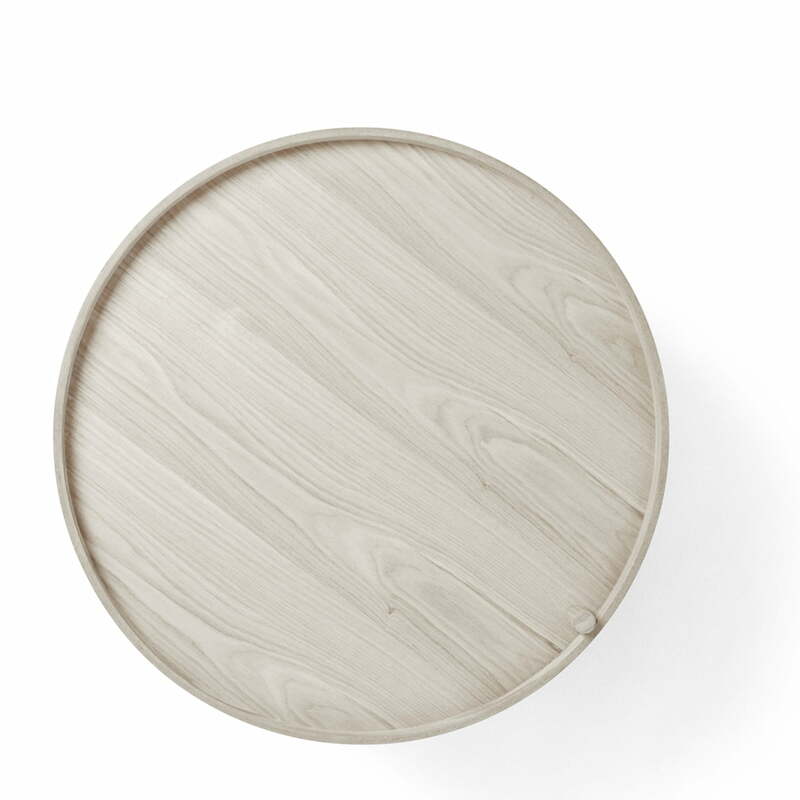 The Turning Table consists of white oak with diagonal brass struts or dark ash with diagonal copper struts.